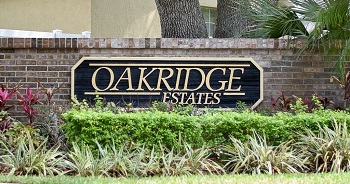 Oakridge Estates at Ridgemoor in the East Lake area of Palm Harbor, FL. is an attractive neighborhood of one and two story single family homes. 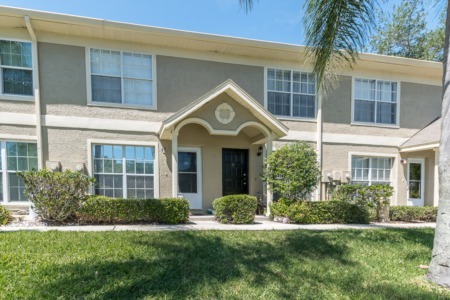 Homes for sale in the deed restricted real estate community of Oakridge Estates are graced with beautifully manicured lawns and well maintained properties. With three, four, and five bedrooms, Oakridge Estates homes are extremely popular to families. Unique items are featured throughout Oakridge Estates homes with items such built-in shelving, alcoves, and entertainment areas adding to the charm of the open floor plans. Offering anywhere from 2200 to over 3000 square feet of living space, Oakridge Estates homes have spacious rooms, large walk-in closets and two and three car garages with plenty of storage. Homeowners enjoy low annual HOA fees. Built in the late 1980s and early 1990s, Oakridge Estates fashions oak trees with lots of greenery giving a tranquil setting throughout the community with some homes offering pond view yards for canoeing. In Oakridge Estates, skylights bring the rays of Florida sunshine right in to your home with cathedral ceilings and high windows. Screened enclosures and pool homes in Oakridge Estates have peace and quiet in private yards. Great for entertaining, open family rooms and gourmet kitchens with island counters and breakfast bars are featured in many of these homes. Custom upgrades such as granite counter tops, garden tub, fireplace, heated pool, and too much more to list. 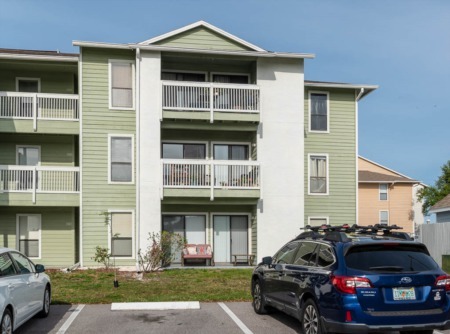 Enjoy boating and fishing on Lake Tarpon at the nearby John Chesnut Park, golfing at Lansbrook public golf course, and walking and biking on the Pinellas Trail. Close to all shopping, restaurants, and entertainment. Pinellas County top rated schools, library, and the local YMCA of Palm Harbor. Selling your Home in Oakridge Estates? If you have been thinking about selling your home, but putting the thought away because you don't think it is possible - call Lipply Real Estate! We would love to help you find the best possible sale of your home by applying our strategic marketing plans to your needs. Call us today to speak to an agent directly or enter your information in the form below.